Item number Ef395 from the MOA: University of British Columbia. 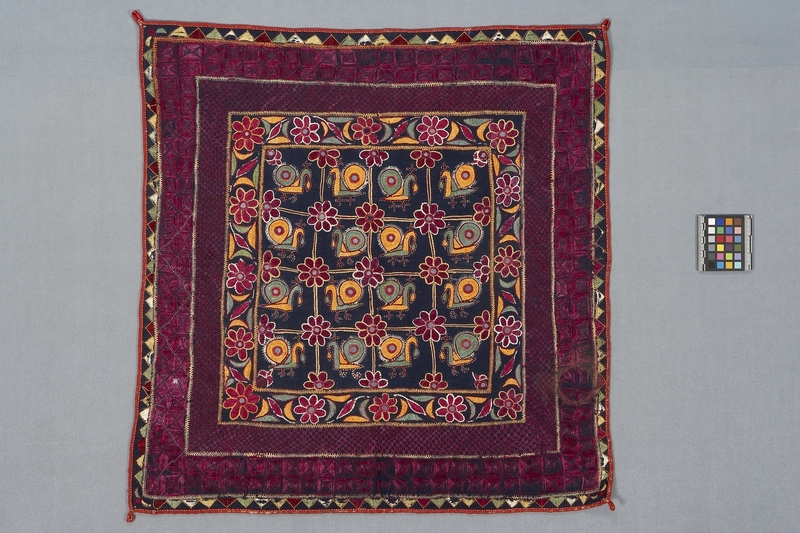 Black, embroidered square lined with neutral coloured cotton is bound in red; red loops at each corner; centre divided into sixteen small squares by triple lines of purple and yellow; purple stylized flower with mirrored centre at each corner; orange, green, purple, and white peacock with fanned tails and mirrors in each square; three borders are: purple flowers with mirrored centres and multi-coloured leaves; small purple checks; and diamonds. Edge pattern of multi-coloured triangles; patterns separated by yellow lines; embroidered in satin fishbone, blanket, chain, feather, and running stitches; some mirrors missing; broken stitches in two outside borders; faded stain on diamond border at lower right side; white stain on diamond border at lower left side; white zigzag stitching on lower half of left diamond border. 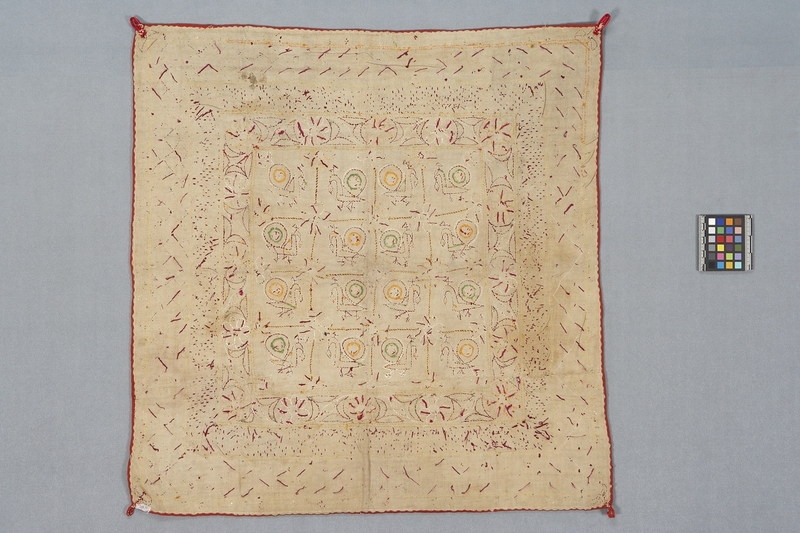 Courtyard wall hanging hung during festivals. cotton fibre, dye and mica mineral ? fibre, cotton dye mineral, mica ?